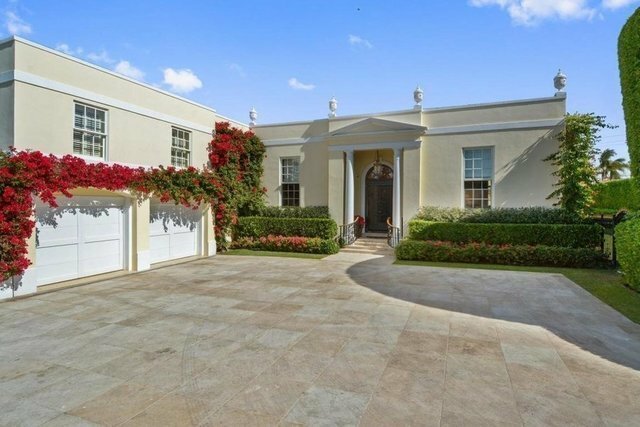 Welcome to Regents Park an exclusive estate section enclave just south of Mar A Lago on Billionaire's Row. This 6BR 6.1BA quintessential French Regency by Clarence Mack is beautifully renovated and is in pristine condition. Classic in design grand scale rooms 12' ceilings well executed floor plan. Oversized lot landscaped gardens by Mario Nievera 40' pool and pool cabana with summer kitchen large outdoor covered terrace full house generator 2 car A/C garage. This home offers the best of indoor/outdoor living perfect for entertaining and is located close to the airport shopping and the beach. Call or text Alison at 917 428 9909 for showings.